I think most of you would agree - forgetting your favorite watch/bracelet, earrings, or necklace in a mad rush to get out of the house often leaves you feeling naked the entire day! Plus I can be wearing a plain white T and a pair of raggedy jeans and as long as I have my favorite necklace on (currently Bonbon Oiseau's Petit Buddha Necklace) - I feel like a million bucks. I'd also like to note that although a majority of you probably wouldn't drop $300 on a bracelet (myself included) I couldn't leave out this Sabrina Dehoff beauty - consider it more on my in my dreams-list! And those adorable earrings....love it! marichelle - you've outdone yourself this time! these finds are outrageous. 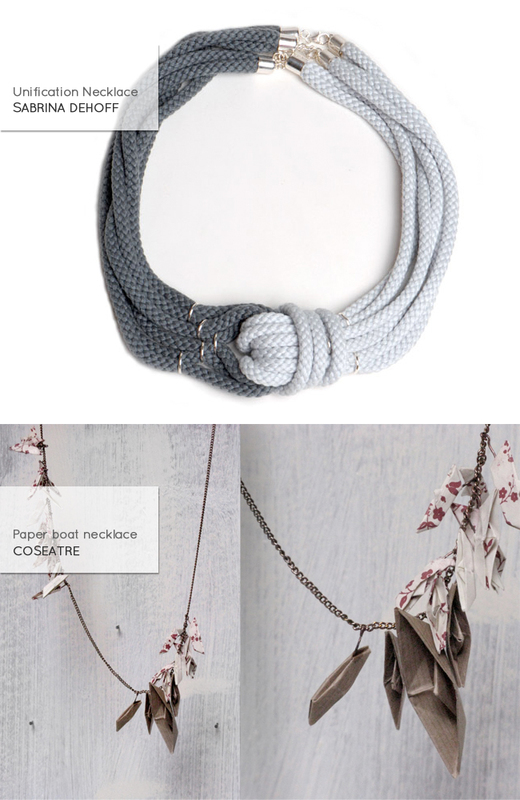 i love the asymmetry of the paper boat necklace. and the use of textiles in the bracelet & earrings. 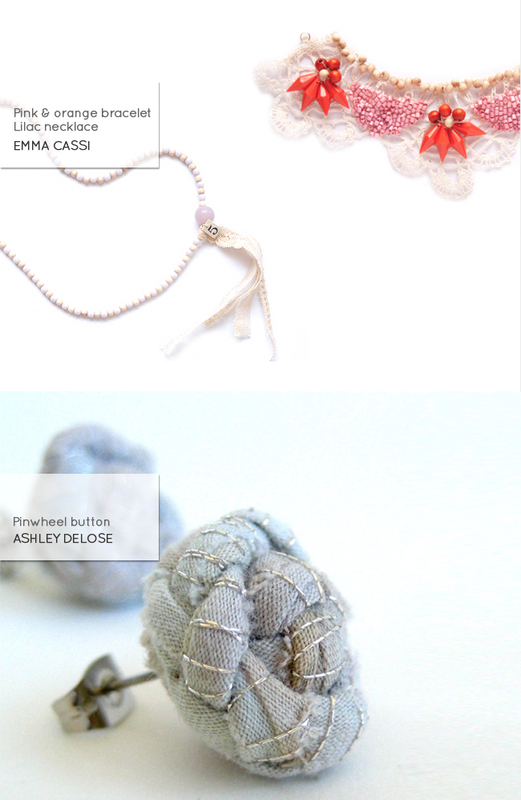 Lovely finds...mixing fabric elements into jewelry is so fresh! really beautiful things! i have to agree w/ Cat-- the look is SO fresh.